Put yourself in the picture (literally!) You’re re not outside the picture anymore - even if you are the photographer. Unlike other cameras, +me takes back and front photos in a single tap, puts them into a collage, and gives you multiple editing tools. What’s more, this cutting-edge photo app lets you use any of your best smiles and pics from the Camera Roll. +me has the unique option of using compass right in the camera and lets you keep the true sides of the horizon in the picture. Add any text and emojis to make impressive posters quickly and with the greatest of ease. Minimize your effort - double the result! And what’s more, it’s free from annoying ads. 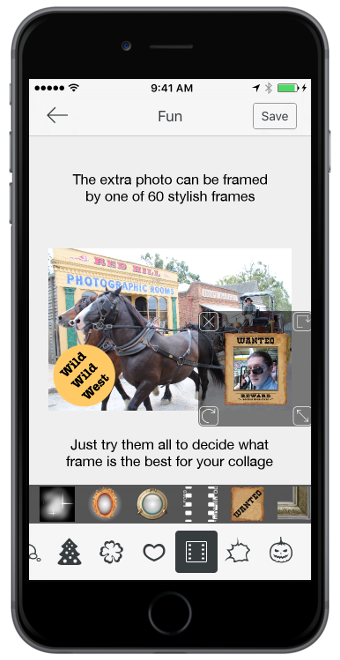 Share your collage to any social network accessible on iOS like Facebook, Instagram, Twitter and so on. Download app for iPhone for free now!